How Much is My Florida Accident Case Worth? 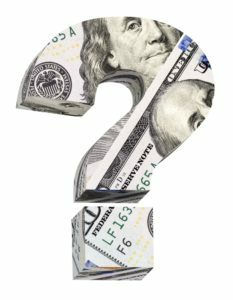 What is the value of a Florida accident case? The value of a Florida accident case depends on numerous factors. Obviously every case is different from the next so it is impossible to determine the exact value of a case before it is resolved. The purpose of this page is to provide a general list of factors that either increase or decrease the value of a Florida accident case. These factors can be broken down into three major categories: 1) Liability; 2) Damages; and 3) Capital Resources (Deep Pockets). One of the most important criteria in determining the value of a Florida accident case is determining who is liable or at fault for the accident. The reason for this is because Florida is a comparative fault state meaning that the amount of economic and noneconomic damages awarded are reduced proportionately by the percentage of fault by each party. This means that if damages are $100,000, but the victim is fifty (50) percent at fault, then the Defendant will be required to pay $50,000 as compensation. Below are several factors or examples involving liability that can affect how much a Florida accident case is worth. Some deal with car accidents and some deal with intentional torts, negligence and personal injury in general. 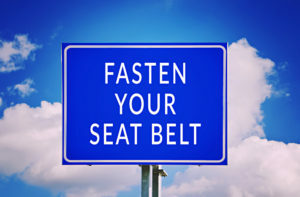 Does wearing a seatbelt affect the value of a Florida accident case? After an accident, the investigating law enforcement officer will generate a Florida Traffic Crash Report Long Form. On that form there is a specific area designated “Safety Equipment in Use” where the officer will indicate whether or not certain safety equipment was utilized during the crash. The officer will indicate whether airbags were deployed, whether child restraints were used, whether helmets and eye protection were present and whether seatbelts were used. Obviously, few people wear helmets and eye protection in a car, but everyone should be wearing a seatbelt. If not, the ultimate value of the accident case may be diminished. What if I was hit by a drunk driver? How does alcohol affect the value of my case? A major factor that affects the value of a case is whether alcohol was involved. The Florida Traffic Crash Report Long Form contains a section where the investigating officer will indicate whether drugs or alcohol played a factor in the accident. Obviously, if you were impaired by alcohol and tried to sue the other driver, the argument will be that you were at least partly at fault for the accident and should be limited in the amount you recover. On the other hand, if the driver that hit you was arrested and charged with DUI, you may actually be entitled to punitive damages, which can significantly increase the value of your accident case. 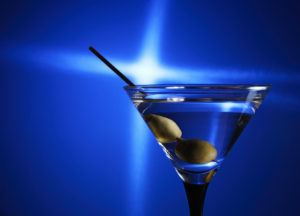 A jury will have little sympathy for someone who is driving drunk and causes an accident. Does the presence of a vehicle defect at the time of the crash affect an accident case? On the crash report, investigating officers will indicate the presence of vehicle defects. Defects could be worn windshield wipers, worn tires, defective lights, defective brakes, tire blowouts, etc. . . . The important question will be who is to blame for the defect and whether the defect was a contributing factor to the accident. For examples, if the person that hit your vehicle had worn tires at the time of the crash and it happened to be raining, then arguably they failed to properly maintain their vehicle and may be more liable. 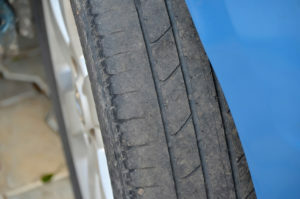 If however, you are driving down the road with new tires and a sudden blowout causes you to lose control and roll your vehicle, perhaps the tire manufacturer is liable under a theory of product liability. Accident attorneys will oftentimes hire a private investigator to examine the vehicle following an accident for the presence or absence of defects, which can largely impact the ultimate value of a Florida accident case. Is the owner of the vehicle that caused the accident liable if he/she was not driving at the time? In Florida, under the Dangerous Instrumentality Doctrine, the owner may be liable for damages caused by his vehicle if it was driven by another with his/her permission. For example, if a mother lends her car to her teenage son for prom and the son causes an accident, the mother may be responsible for paying damages. If, however, a car is stolen and involved in an accident, it is doubtful that the owner will be held responsible. Is the driver’s employer liable for an accident? In Florida, if a person is driving under the “scope of employment,” meaning that they are driving for work purposes and they cause an accident, then the company that employs them may be held legally responsible for the accident. Obviously, in an attempt to avoid liability companies will usually try to argue that the driver was on a “frolic” meaning that they were not driving for the company at the time of the accident. These cases are fact specific and there are several factors that must be considered to determine if liability will attach to the company including, but not limited to, the time of day, the purpose of travel at the time, etc. . . . 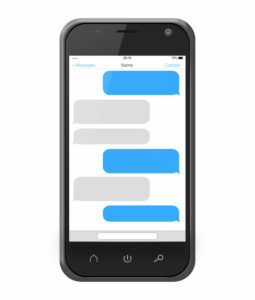 Does texting affect the value of a car accident case? In today’s society, few people can get by without a cell phone. Most cell phones these days are “smart” phones that are capable of sending text messages or surfing the web or social media sites. Eventually, through the process of discovery, lawyers on both sides will attempt to obtain phone records to determine if drivers were distracted at the time of the crash. Evidence of the use of a cell phone in the moments leading up to an accident can suggest that a driver was distracted and therefore liable for an accident. In 2013, Florida enacted the “Florida Ban on Texting While Driving Law” found in Florida Statute, 316.305. The new law makes it a noncriminal traffic infraction to operate a motor vehicle while manually entering, sending or receiving data on a wireless communication device. Arguably, a Florida accident lawyer may even attempt to recover punitive damages for an accident resulting from such a violation, which could significantly increase the value of a Florida accident case. 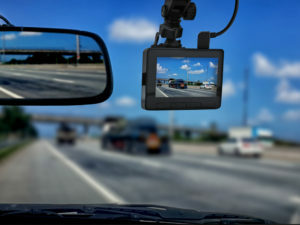 Does video surveillance affect the value of a car accident case in Florida? The use of cameras has grown dramatically with advancements in technology. Cameras are smaller in size and more affordable as technology improves. Cameras are utilized on both private property and on commercial lots for security. They are found on the helmets of motorcycle drivers. They are also used in many commercial vehicles and because they are also found on most smart phones, they are readily available. More and more accidents including car accidents, truck accidents, motorcycle accidents and slip and fall accidents are being captured on video. 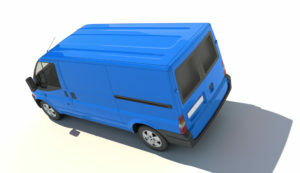 This helps reduce fraudulent accident claims but can also provide clear evidence of liability in certain circumstances. 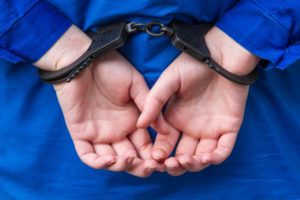 Do prior criminal convictions affect how much a Florida accident case is worth? 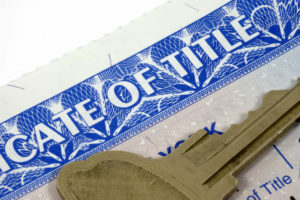 Insurance companies and their lawyers will consider many factors when determining the value of a case for potential settlement. One factor is the credibility of the injured party. The reason why this is important is because oftentimes, there are no independent witnesses to the accident. Therefore, the injured party of the accident may be the only person who can testify as to how the accident occurred and as to why the other party is liable. The injured party may also need to testify as to the extent of injuries. In a Florida accident case, a witness that chooses to testify may be impeached with prior felony convictions or crimes of dishonesty unless such conviction was so remote in time as to have no bearing on the credibility of the witness. The next major category that determines the value of a Florida accident case is damages. In order to recover compensation for a Florida personal injury accident, a plaintiff must prove the existence of damages. Damages may include property damage, medical expenses, lost wages, pain and suffering, and more. One thing to consider is that if the injury case involves a motor vehicle, then Florida’s No Fault Laws will govern and without a “permanent injury,” the injured party will likely be unable to file suit against the at-fault party. That being said, below are several factors to consider in determining the amount of damages, which directly affect how much an accident case is worth. Does the injured person’s age affect the value of an accident case? Usually, the younger the injured party, the more valuable the case. A younger person has more of their life yet to live, and therefore, more to have to give up as opposed to someone who is in their twilight years and has lived a full life. Also, younger people tend to be healthier so there is less opportunity for adjusters and their lawyers to argue that the person’s injuries were preexisting. Depending on the nature of the injury, there is also the potential for more medical bills. For example, an individual with a severe traumatic brain injury may need extensive rehabilitation and possibly a lifetime of care depending on the severity of the injury. An actuarial table will be used to calculate a person’s life expectancy to determine what the projected total costs of such care will be over that person’s lifetime. Obviously, the younger the individual, the higher the total future costs. 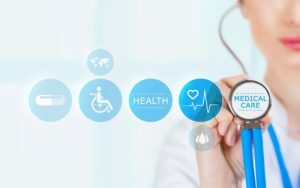 How will surgery affect the value of my accident case? In general, a recommendation for surgery increases the value of an accident case because it supports a plaintiff’s position that the injuries are genuine and serious. The costs of surgery and any rehabilitation will be added to the economic damages as past and future medical expenses. The need for surgery can also affect the ultimate value assigned to pain and suffering. While surgery may increase the value of a case as a whole, it doesn’t necessarily mean more money in your pocket. For more information, please review our page on why surgery may not be the best option in my case. Is there a difference in case value between actually undergoing surgery versus a recommendation for surgery? Some insurance companies will value a case where the injured party actually underwent surgery higher than cases where a doctor is simply recommending surgery. Some adjusters are skeptical of recommendations for surgery. Some see this as an attempt by plaintiffs at increasing the value of the case. They also know that certain doctors are more prone to suggest surgery than others. They also know that many plaintiffs are not genuine when they demand compensation for future surgeries and that many have no plans to actually undergo any surgery. How will a similar prior injury (pre-existing injury) affect the value of my Florida accident case? In most accident cases, a claims adjuster or defense attorney will look for any evidence that the injuries are pre-existing. During the discovery phase of an accident case, they will depose witnesses and subpoena records for any evidence of prior accidents or injuries. They will also have these records reviewed by their own doctors who then provide their own interpretations of x-rays and MRIs. For example, neck and back injuries seem to be the most common with slip-and-falls and with car accident cases. Injuries in these types of cases typically include a disc bulge or a herniation. The doctors hired by the insurance company will sometimes argue that the herniation was pre-existing and may have simply been asymptomatic. However, even if there is evidence of a prior injury, this doesn’t mean that you cannot recover damages if a physician determines that it is an aggravation of the prior injury. How will the need for a prosthetic affect the value of an accident case? The values of accident cases where injuries result in the need for prosthetics are usually very valuable. This is due to several reasons. The most obvious reason is that a person needing a prosthetic has likely suffered a major accident with serious injuries. They may have lost an eye, an arm or perhaps a leg. These tend to be permanent injuries that will affect a person for the rest of their life. Juries are very sympathetic to these types of injuries and tend to award more compensation. Another reason is that prosthetics tend to be extremely expensive. Many of the companies that produce these devices have invested large amounts of money towards research and development. They sometimes have to secure patents or licenses to incorporate and use this technology and the devices are usually difficult to manufacture. Prosthetics are never a “one size fits all.” Every intended recipient must be fitted precisely for the device and the device must be manufactured to those exact specifications. In addition, prosthetics must usually be replaced periodically due to wear and tear and changes to the recipient’s body’s dimensions (example: a child will need larger prosthetics as he/she grows). Does the existence of a traumatic brain injury affect the value of a Florida accident case? Traumatic brain injuries (TBIs) are very serious injuries that can have long lasting detrimental consequences. These injuries are typically broken down into two categories, mild and severe. 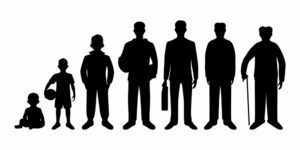 The types of symptoms and resulting disabilities from TBIs are broad and manifest themselves differently in different people. Symptoms of mild TBIs may include headaches, confusion, loss of consciousness, memory loss, etc. . . . Sometimes these symptoms are readily apparent yet sometimes they can be overlooked. They can occur immediately following the accident or sometimes may develop weeks later. They sometimes resolve themselves quickly and other times may last for years following an accident. Severe TBIs may include some of the same symptoms as mild TBIs but can have far more serious consequences such as impairment or complete loss of certain abilities such as the ability to see, hear, walk, talk, speak, read, taste, sleep, eat, control bowel and bladder, etc. . . . Victims of TBI’s can suffer from multiple psychological disorders and may not recognize family or loved ones. They are sometimes permanently disabled and/or completely unable to care for themselves. Unfortunately, some of these symptoms are permanent. For all of these reasons, accident cases involving traumatic brain injuries tend to be some of the most valuable as far as compensation for economic and noneconomic damages. How does scarring affect the value of a Florida accident case? Accident injuries sometimes heal leaving a scar. Though some scars tend to improve over time and with surgery, scarring may affect a person socially, financially and may even harm their career. The compensatory value of a scar depends on several factors. The location of the scar is a large factor in determining the value of compensation. For example a scar on a person’s face is obviously worth more than a scar on a less obvious location such as an elbow. Some other factors may include the person’s gender, occupation, age, marital status, etc. . . . For example, a jury will likely be more sympathetic to a beautiful young girl enrolled in acting school or modeling with a large disfiguring scar on her face than an eighty (80) year old retired, married man with a scar on his foot. While it is unlikely that the older man will suffer any appreciable detriment from the presence of his scar, it is a virtual certainty that the aspiring actress/model will suffer both professionally and socially due to the effects of the facial scar. 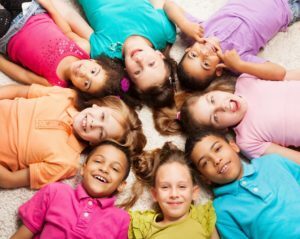 How does the fact that I have children affect the value of a Florida accident case? Generally, having children (especially minor children) will positively impact the potential value of an accident case for many reasons. Assuming the injured person led an active lifestyle and was heavily involved with their children, both adjusters and juries tend to be more sympathetic if that person can no longer participate in such activities with their children. They know that a paraplegic father will obviously never be able to teach his daughter to ride a bike or enjoy a father-daughter dance at her wedding. These are special moments in one’s life that are invaluable. In wrongful death cases, children are sometimes the beneficiaries of a parent’s estate and may recover the value of “lost support and services” and sometimes recover for “lost parental companionship, instruction, guidance and for mental pain and suffering” following the injury of a parent. The recovery of these damages in a wrongful death case are governed by Florida Statute and depend on several factors such as the age of the children and whether the parent was married at the time of death. Generally speaking, the value of a wrongful death lawsuit increases if the deceased was survived by minor children. How does marriage affect the value of a Florida accident case? The final criterion that determines the value of a Florida accident case is the existence of capital resources on the part of the at-fault party. This is sometimes referred distastefully as the existence of deep pockets. Person “A” may be involved in an accident where person “B” is clearly 100 percent at fault. There may be a plethora of evidence including video surveillance and a multitude of witnesses that will testify to this. In other words, liability is clear. Furthermore, person “A” may be so catastrophically injured, that it is undisputed that he/she will require a lifetime of surgical intervention and care. However, person “A’s” accident case will be considered worthless if person “B” owns the vehicle he was driving, failed to have his vehicle properly insured, carries no other liability insurance and is otherwise insolvent. In order for an injured party to receive compensation for an accident, the person or company liable for the accident must personally have the ability to pay or must be covered by sufficient insurance. Otherwise, the injured party’s only other recourse will be to utilize his uninsured/underinsured motorist (UM) policy, assuming he/she has one. This is why it is crucial for drivers in Florida to maintain a UM policy on their vehicles, especially since doing so is relatively inexpensive. Was the at-fault driver or owner of the vehicle involved in a Florida car accident covered under Bodily Injury (BI) Liability coverage? Bodily injury liability will pay for serious and permanent injury or death if the driver of the covered vehicle is liable for the accident. Bodily injury liability will cover, not only the owner, but may even provide coverage for relatives that reside with the owner (even if they cause an accident while borrowing another’s vehicle). It may also provide coverage to the owner if he/she lends the vehicle to someone else not on the policy. Typical BI policies provide at least $10,000 in coverage per person injured and $20,000 per accident. Commercial policies typically provide $100,000 per person and $300,000 per accident. Lawyers usually recommend that drivers carry a minimum of $100,000 per person and $300,000 per accident to assure that drivers and their assets are adequately protected from lawsuits in the event of an accident. Does the at-fault party have an adequate homeowners insurance policy? Homeowners insurance policies are known for providing coverage to the home due to damage from storms, vandalism, plumbing mishaps, etc. . . . However, certain homeowners insurance policies will provide liability protection for an owner liable for causing personal injury or property damage to another as long as the act was not intentional. These policies will cover accidents to guests at the home such as slip and falls and will even provide coverage for accidents caused by the insured that occur outside the home. The presence of such a policy may provide sufficient compensation to the injured victim of an accident. Was the at-fault driver or owner of the vehicle involved in the accident covered under a Personal Liability Umbrella Policy (PLUP)? Is there a commercial policy? Commercial policies are insurance policies that protect a business or business assets from liability. Depending on the type of accident or the location of the accident, there may be a commercial policy in place. For example, if the accident occurs at a business such as a theme park, a condominium, a retirement home, a restaurant or similar establishment, the odds are that there is a commercial policy in place. These policies normally have considerably large limits and are usually sufficient to adequately cover most types of accidents. If there is no commercial policy, does the business have sufficient assets to cover the damages? In the unlikely event that a commercial policy does not exist, the business may have sufficient assets to cover the damages. Some companies will self-insure and some have adequate cash reserves for these types of situations. In the event that a person responsible for an accident does not have insurance of any kind, the person liable for the accident will be personally responsible for the damages. If they have no income and no assets to their name, then they are likely unable to pay for the damages. These individuals are considered “judgment proof” because securing a judgment against them is useless since they will be unable to pay the amount of the judgment. Assuming there are no insurance policies in place to cover the accident and all liable parties are judgment proof, then as previously mentioned, the only other option would be to use one’s own uninsured/underinsured motorist (UM) policy as compensation for the accident. If you or a loved one has suffered an accident in the State of Florida and would like a free consultation with a Florida accident attorney, please to do not hesitate to contact the Law Office of Verderamo & Nunez. Located across from the Collier County Courthouse in Naples, Fl.